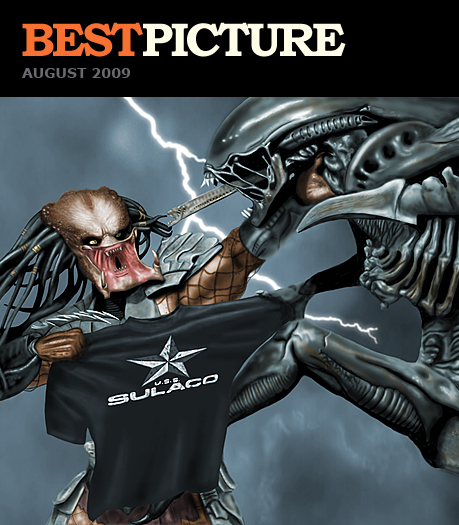 This month’s winner of our ‘Best Picture of August 2009’ competition is Angle (Dave) from Sheffield in the UK with this brilliant Predator versus Alien image, all entirely composed in Photoshop. We love the attention to detail and the fact that they’re battling over one of our tees – nice touch. Angle wins 3 T-shirts of his choice from our range. If you have any ideas you’d like to submit for our ‘Best Picture for September 09’ send them in to us at info@lastexittonowhere.com for a chance to win too.